Does nature really contain medicine? Ancient healers sure thought so. 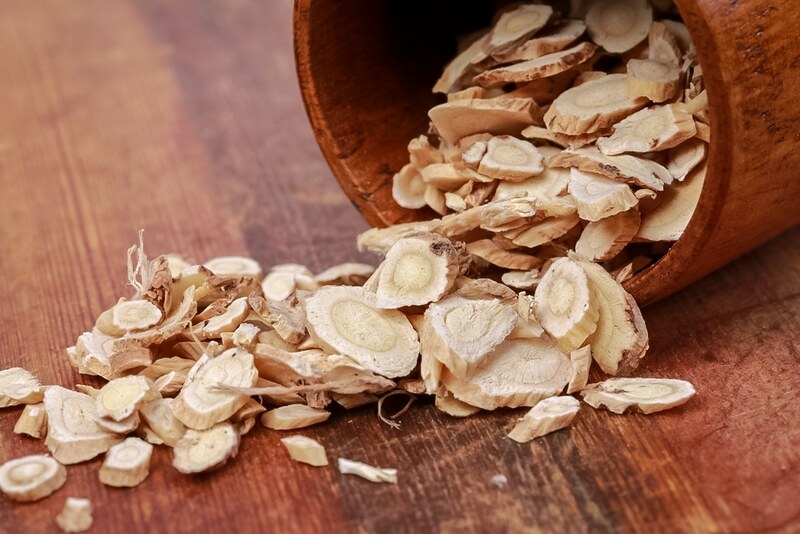 Beyond natural remedies and plant medicines they discovered and prepared centuries ago, modern medical science has found plenty of its own valuable medicines from the natural world, too. It may surprise some to hear that even some of our most powerful pharmaceuticals are manufactured from or even synthesized to mimic plant-and fungus-based medicines. Yet, there’s still plenty of powers deep within plants—whether healing herbs or foods—that are overlooked for their healing potential nowadays. One of these such understated healing sources comes in the form of antioxidants. And one of the most antioxidant-rich plants we’ve ever known is green tea—along with one of its most potent antioxidants, EGCG. WHAT DOES EGCG STAND FOR – AND WHAT IS IT? If antioxidants are considered amazing natural nutrients, then EGCG should be considered one of the best. There may be many analogs, derivatives, or close relatives of this antioxidant too which go by slightly different names. 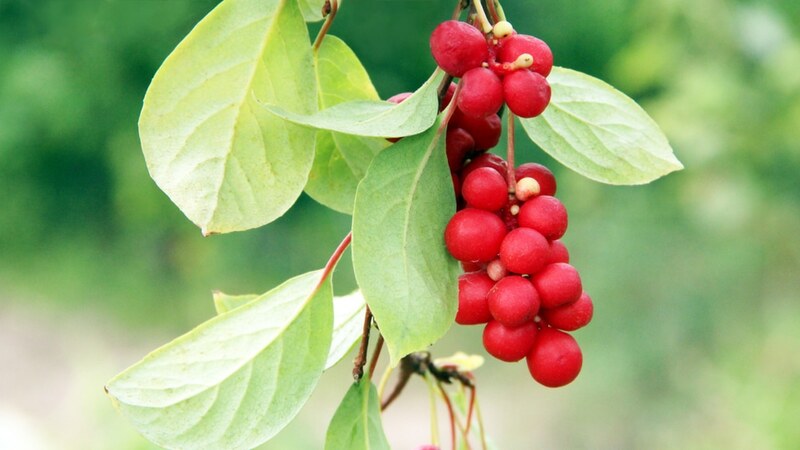 These can include epigallocatechin-3-gallate, epigallocatechin, or even epicatechin. Each of these may, or tend to, have similar benefits and actions as each other. Though antioxidants of all sorts are found in a wide range of foods—and even though some vitamins and minerals are in and of themselves considered antioxidants—there are special aspects of EGCG that make it stand out from the crowd. For one, EGCG happens to be a leading compound found in green tea, known to be one of the healthiest herbs and beverages in the world. Scientists have studied green tea over the years to discover what makes it so good for people. Turns out, it’s more so the chemicals found in the plant that holds so much potential rather than the entirety of the plant itself. After much research, EGCG was one of many chemicals in green tea that stood out for its interesting health effects. So did other constituents like l-theanine, polyphenols, flavonoids, and more. 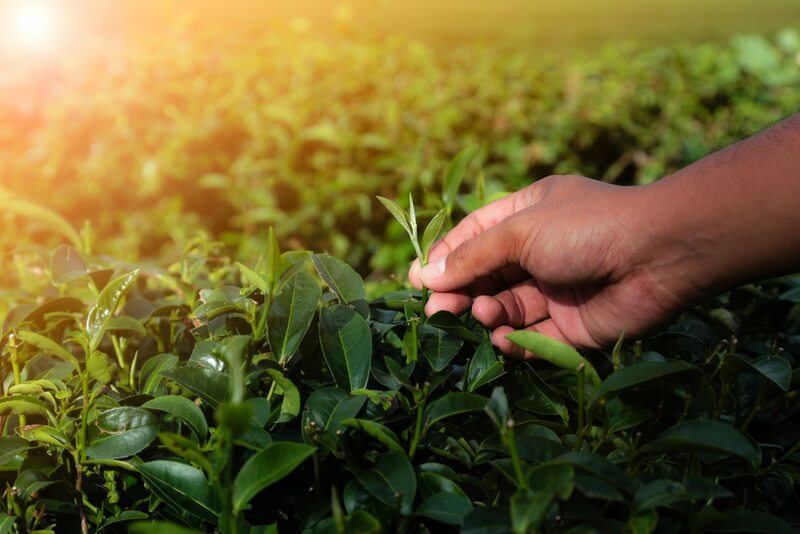 Compared to other compounds unique to green tea, however, EGCG seems to outshine them all. EGCG has come under some very intense study and interest since it could quite possibly be one of the most powerful antioxidants out there. It may also be the central powerhouse behind what makes green tea such an exceptional healer. But what can they actually do? The following are prominent 12 benefits of EGCG from green tea, as supported by scientific research and traditional use. First things first: what makes EGCG so remarkable is its antioxidant actions. A 2011 study is only one among many that have confirmed this. It also found that it’s not just EGCG, but also all of its derivatives too, that can have these benefits for people. Getting these benefits could be just as simple as drinking green tea. But they can also be obtainable in more convenient form as a daily supplement containing green tea extract. What do antioxidants do for one’s health? For one, they scavenge free radicals. What this means is less inflammation, better health, an easier use of and release of energy, plus reduced experiences with sickness or energy slog. Reduction of inflammation with the help of antioxidants is certainly not to be underestimated. But most don’t realize these essential nutrients are pivotal for reducing any chance of inflammation, chronic or otherwise—and most people may not even realize that EGCG may be the best choice among these. Better yet, this green tea antioxidant could have therapeutic potential for inflammation in this regard. In one study, the use of EGCG was shown to help with pain and inflammation of an inflammatory disease like rheumatoid arthritis. So, not only can EGCG be responsible for tonic-like benefits—it could potentially be a pain-reliever, too. 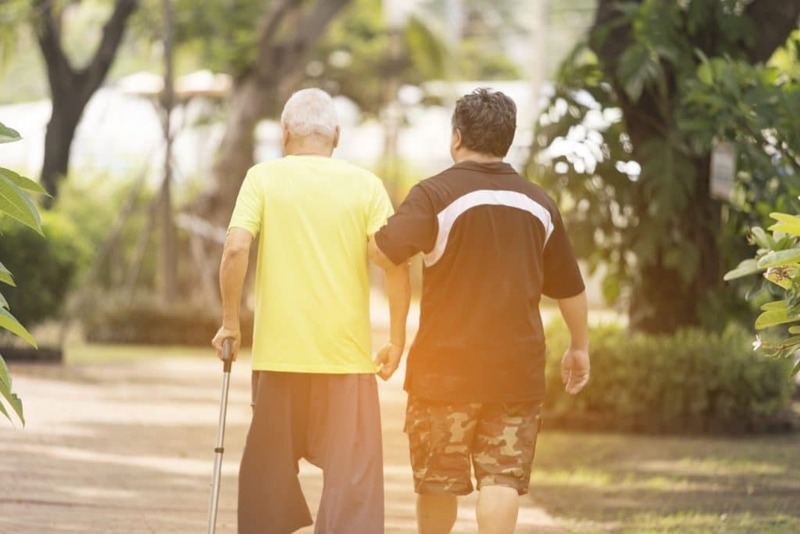 Studies show that many neurological problems and disorders, such as Alzheimer’s disease and others, are actually caused by inflammation affecting the nervous system. Even better, studies show that as an anti-inflammatory antioxidant, EGCG may help reduce this inflammation. In more exciting developments, one study showed even more direct effects by EGCG on reducing the risks and symptoms of Alzheimer’s disease. Owing to these results, scientists are now in an earnest race to find Alzheimer’s remedies in this botanical antioxidant. In the meantime, people may be able to reduce the disease risk with simple green tea, though more studies are needed. If EGCG can help with symptoms of Alzheimer’s and does so by healing neuroinflammation, then this could be some great news for memory. People with memory problems may experience them for many reasons. But the principal underlying reason is neuroinflammation, which research has shown the antioxidant EGCG may be of help to. What’s more, some studies have put these memory-boosting properties to the test. One study found that EGCG could help with memory problems and impairment caused by high blood pressure in test subjects, which created excess inflammation throughout the nervous system. Is EGCG a bona fide memory-booster? It’s quite possible. Alzheimer’s, memory problems, and neurological disorders aren’t the only things caused by inflammation—or neuroinflammation, at that. As it turns out, inflammation can play a major role in many types of depression. So, can EGCG thus have anti-depressant benefits? Not like an anti-depressant pill like Prozac, studies show—but there could still be something to it. In one study, the antioxidant had beneficial effects on test subjects showing symptoms of depression and helped reduce them noticeably. For issues like clinical depression, however, the jury is still out. For mild stress and depression though, there’s a strong chance it could be naturally supportive. 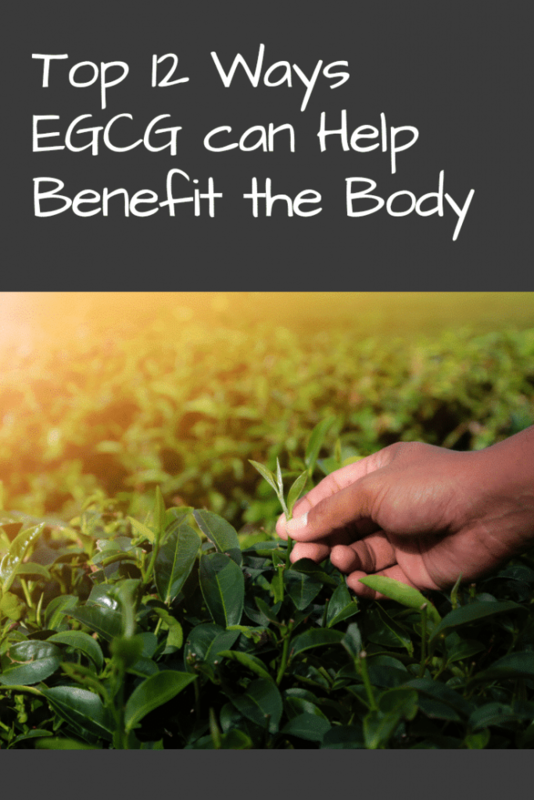 Setting aside EGCG’s perks for the nervous system for a moment, there is also good evidence that this green tea compound could do wonders for other organ systems as well. Think especially of the body’s major detox systems. In one study, the use of EGCG stimulated healing in the liver and even reduced liver damage. That’s right—EGCG could be a great support for liver health, and even naturally detoxifying. This not only adds another boost for naturally fighting inflammation, but can also mean very good things for naturally enhancing the immune system, too. On the one hand, taking EGCG from green tea or extract on the regular may mean a reduced risk of liver-related diseases, like fatty liver for example. On the other hand, it also means you can kick out those cleanses, juices, and fasts. This is because it could be great for liver health AND kidney health, too. The kidneys’ role in detox and cleansing is often overlooked, but it really shouldn’t be. Without the kidneys and liver together in combination, no natural cleansing of the body would occur. To prove this, in a recent study EGCG was found helping reduce damage and inflammation in both the liver AND kidneys as an antioxidant. Men everywhere, rejoice. Not only can EGCG help kick the nervous system and liver health in high gear, but it could also help issues with reproductive health that men face as they age. Of all these, prostate issues—and especially cancer—can be men’s biggest fear. Luckily, there’s a lot of evidence that EGCG from green tea might help reduce the risk of prostate cancer and maybe even fight it. In one study, the antioxidant shrank prostate tumors owing to certain interactions with androgen receptors in men. But there’s great news for not just men, but people of all genders in a very real way: EGCG may slash down anyone’s risk of cancer. Just as with prostate cancer, it could one day be a target for fighting it, or even be the source of powerful medicines in the future. One study claimed it was the most powerful anti-cancer compound in green tea. Another showed it could help fight breast cancer while also supporting the radiotherapy used to fight against it. But right now, it’s highly unlikely that EGCG is an anti-cancer magic bullet, and it can’t be called a cancer remedy. Still, scientists regard it as having a lot of intrigue. There’s fighting cancer, but what about fighting infections? Research sheds a light on that quality in EGCG, too. A study in 2012 highlighted its effects as an antiviral, antifungal, and antibacterial all in one. It also revealed that EGCG could be an option for fighting antibiotic-resistant strains of viruses and bacteria, too, which could really come in handy against certain illnesses—including colds and flu. As of yet though, these effects require a little more scientific exploration. Take a dive deep, deep down to the cellular level of health in the body. Beyond what happens even with antioxidants fighting free radicals, EGCG incites something yet more microscopic: a process called autophagy. EGCG can help with this, the body’s natural cellular cleanup process of removing waste, downsizing dead cells, and expelling dysfunctional mitochondria that aren’t serving the body’s health anymore. Studies support and show evidence of this, too. Think of it like the cell’s self-cleaning or housekeeping service: unused clutter, waste, and matter has got to go. If it sticks around, it will contribute to chronic inflammation—so taking autophagy-stimulating antioxidants like EGCG can be very anti-inflammation healthy. Could EGCG finally be the missing key or the magic secret for successful, rapid weight loss? Not quite. Still, there are studies showing EGCG might be the next best thing. In one study, obese subjects began losing weight when taking EGCG daily. It appeared to do this by increasing fat metabolism and shifting overall metabolism into high gear, thus helping support and manage a healthier weight. This doesn’t mean it’s time to drop all those other common sense weight loss approaches, however. Keep up that good diet, exercise, and other lifestyle tips—though adding EGCG to the routine could be a helpful boost. 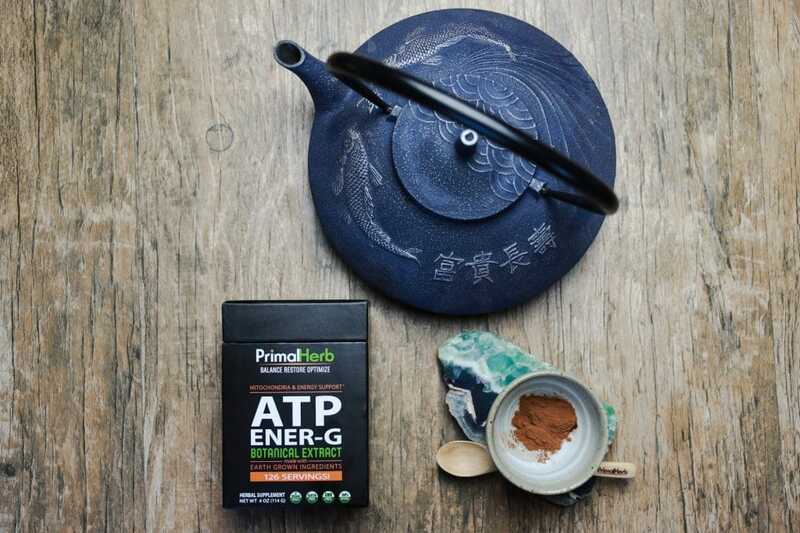 ATP ENER-G is our answer to those dealing with low energy, low focus, adrenal fatigue issues, brain fog, and more. EGCG’s many health benefits led us to include it as an energetic and integral part of our herbal supplement blend.